To help you mature your asset management methodology, CDW offers an ongoing SAM solution backed by a tool to assist with normalizing your entitlements against your deployments. We can also perform a short-term compliance assessment, focused on a single publisher, to discover if your current SAM methodology is working. Call or email your account team today for more information. New to CDW and don't have an account? Contact us at 866.526.2396 to talk to a SAM expert. Watch the Dreaded Audit and other videos on our SAM video channel. One large company achieved a multimillion-dollar return on investment with the software license optimization tool from Snow Software. 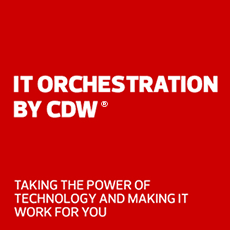 From selection to implementation and training, CDW can orchestrate a solution that makes software adoption simple and cost-effective. Explore how Alan Joch, an independent business and technology writer, believes optimize your software will ultimately reduce your costs. Snow can keep you legal and save you money with Snow License Manager, an advanced and user-friendly software asset management (SAM) solution. Designed to reduce the risk, cost and complexity associated with software assets and licensing, it’s used by thousands of organizations around the world to avoid overspending on software entitlements while maintaining compliance. Reclaim unused software, respond faster to audits, track lifecycle processes and optimize hardware and software investments with Ivanti IT Asset Management Suite. It integrates software compliance, license entitlement, discovery, asset lifecycle management and financial management into one interface so that you can view all IT assets from and visualize your ROI. Information gleaned from Snow helped us cut the cost of our Microsoft license agreement... saving us $1.3 million. Snow's Software Recognition Service is invaluable in bringing an everyday contextual understanding to what software is installed. Call 800.800.4239 to talk to a SAM expert.